Crafted in high-quality stoneware in a unique oval shape, this 4 1/2-inch tall Star Wars: The Force Awakens BB-8 18 oz. 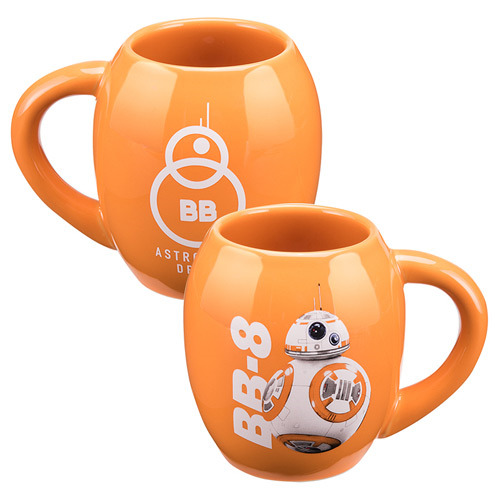 Oval Ceramic Mug features a bold and bright design with BB-8 and his name on one side and the words "Astromech Droid" and another BB-8 image on the other. Any fan of the adorable little guy would love to receive one of these as a gift. Dishwasher and microwave safe.